In the continuous spirit of celebrating CME Manitoba 100 years, we invite you to join us on the Industry Night 2019 at Shaw Park. Take your team out to the ballgame, connect with industry peers and partners, and enjoy with family and friends post-game fireworks! 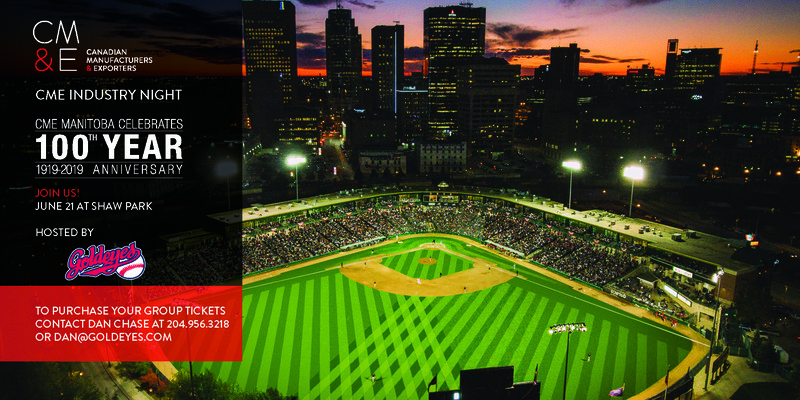 The Goldeyes will donate $4 from every ticket within a Group Ticket Purchase to the CME Manitoba Scholarship Fund. *Registration for individual tickets opens May 4.